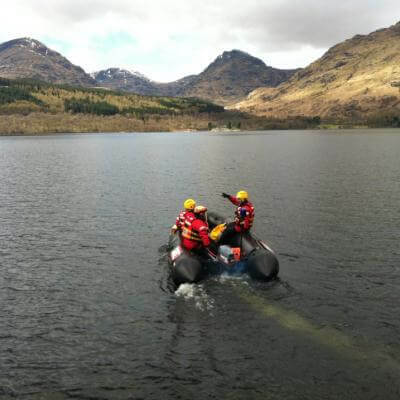 Our rescue boats have been used to provide water safety cover at the annual Kirkintilloch Canal Festival, West Highland Way Race and the HOKA Highland Fling Race. During the Glasgow 2014 Commonwealth Games we provided water safety cover on the River Clyde from Glasgow City Centre downstream to Kelvin Harbour. We provided safety cover in partnership with Stirling Council for the opening of the River Teith salmon fishing season for 2019. Loch Lomond and the Trossachs National Park has many lochs and rivers including the UK's largest loch - Loch Lomond. At a basic level every operational team member is trained to work safely beside water and use a throwline. All team vehicles have a throwline and life jackets as part of their operational equipment. 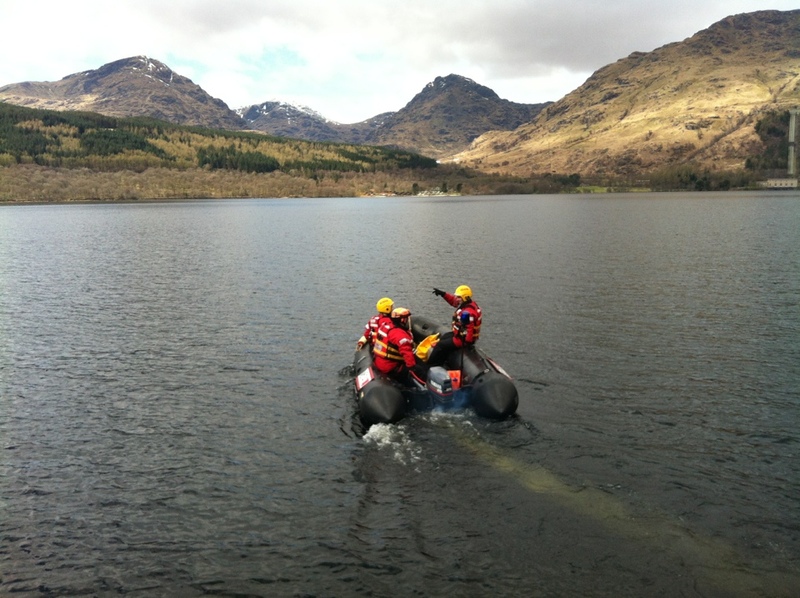 Since the team's formation in 1998 we have utilised boats to conduct search operations and provide safety for our operational personel conducting searches beside waterways. The team currently operates a 3.9 metre inflatable with 20hp engine. 16 members are currently qualified to operate these boats to MCA Rescue Boat guideline standards.